A Legacy of Legends a colt starting event of training from the horse’s point of view. It is also an investment in the next generation of horsemen and horsewomen through its scholarship program. The scholarships pay for the recipient’s instruction, room and board, and travel expenses. Successful applicants spend three months training with a horseman skilled in the philosophy of Tom Dorrance and Ray Hunt, which is rooted in the vaquero, the horse-mounted livestock herder that originated on the Iberian Peninsula, manifesting the Spanish tradition of working riding that became the foundation for the North American cowboy. These basic fundamental principles of riding and training are preserved in the philosophies of these two men, who claim no fame or fortune, but hold them to be true for what gentles a horse and paves the way for a lasting relationship. There are no short cuts or economic gain directly related to their philosophy because the horse has a brain that operates from unchangeable instinct. The vaqueros observed this and used the self-preservation of the horse to form this partnership. Patience and knowledge are the keys, and the followers of this style of horsemanship recognize that it is necessary to learn it from the masters. Ray Hunt and Tom Dorrance are the masters that Buck Brannaman and others follow. When Ray and Tom passed away Ray’s wife Carolyn partnered with Buck Brannaman to carry out this timely tradition. No amount of book reading or video watching can produce this touch with the masters. I interviewed two scholarship recipients, one who is currently participating in the training and one who received a scholarship for 2018. These horsewomen recipients are Emily Sholtec, 24, from Iowa and Francesca Green, 24, from Australia. 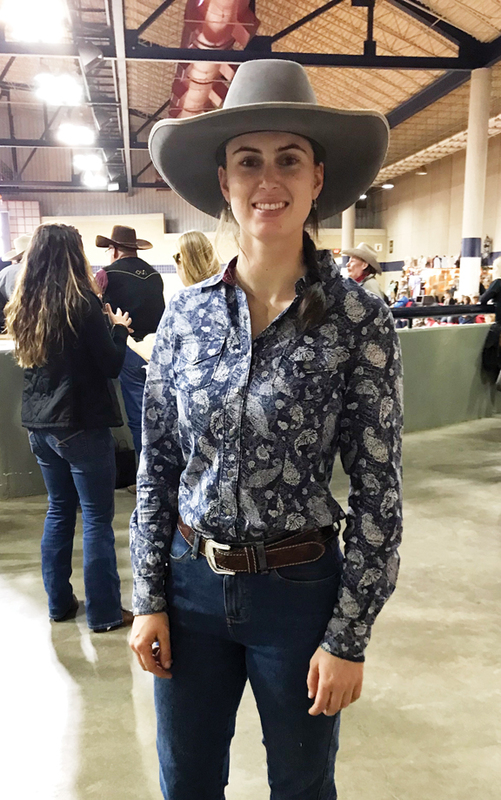 Francesca Green grew up in southwest Queensland liking horses, but was only able to ride with grandparents and neighbors. She took ballet for nine years, but her desire to ride never waned. Inspired by Buck, the documentary, she pursued a job working on a big ranch where she met Anthony Desreaux. She felt clueless at first, but learned to ride well enough to participate in racing and eventing. 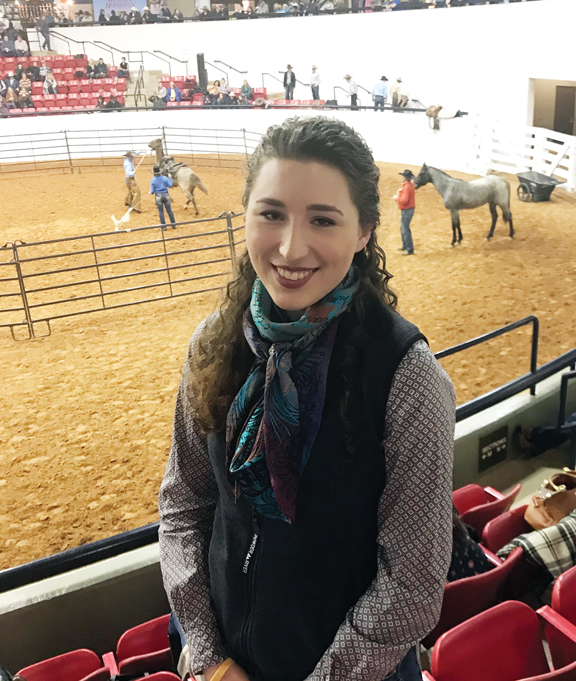 Desreaux recommended her for the scholarship program, which gave her the opportunity to pursue a career path for which that she had passion and drive, and to some day own her own horse. Emily Scholtec from Iowa received her scholarship this year after a third try. She is a college graduate with a Liberal Arts degree. She was acquainted with “horsemanship through feel,” but tried some other approaches. 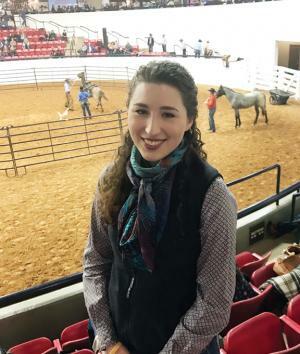 It was when she took her troubled mare to one of Buck’s clinics that she began to focus on a career in colt starting, along with helping people finish their horses and working with horse rescues. To apply for the scholarship program, you have to submit a video of you riding a horse, an essay about yourself and your interest in horses, and three letters of recommendation from people not related to you. You do not have to come from a working ranch, but must demonstrate interest in the horse and a commitment to learning. Applicants must be at least 18 years of age to apply. The goal of the scholarship program is to preserve the legacy of these two great horsemen and assure that future generations continue to learn from them.